I stamped the umbrella first then added the rain around it masking where needed. 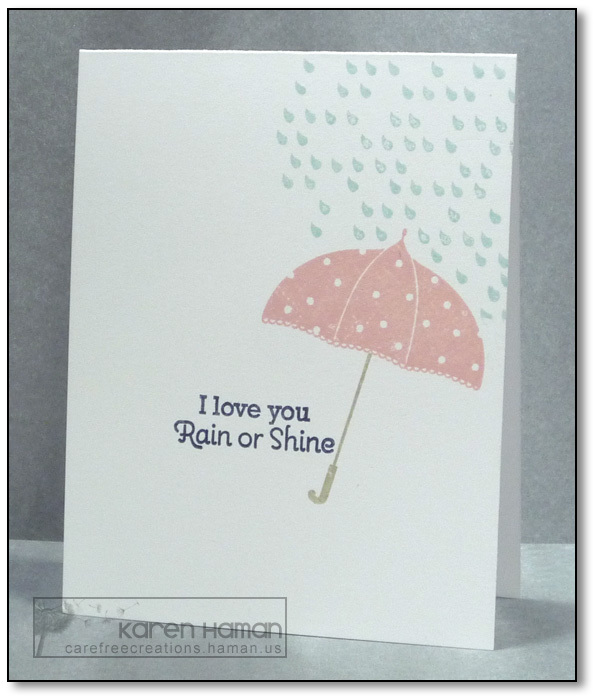 This entry was posted in cards, CAS Colours & Sketches DT, Papertrey Ink and tagged olc by karen h. Bookmark the permalink. Such a cute one layer card, Karen!! Love the rain! This is one of my favorite stamps, your card is fabulous.